Pádraig is the author of bestselling Tin – a science fiction adventure about robots and humanity, set in an alternate version of 1930s England. (If you haven’t read it already, you should!) 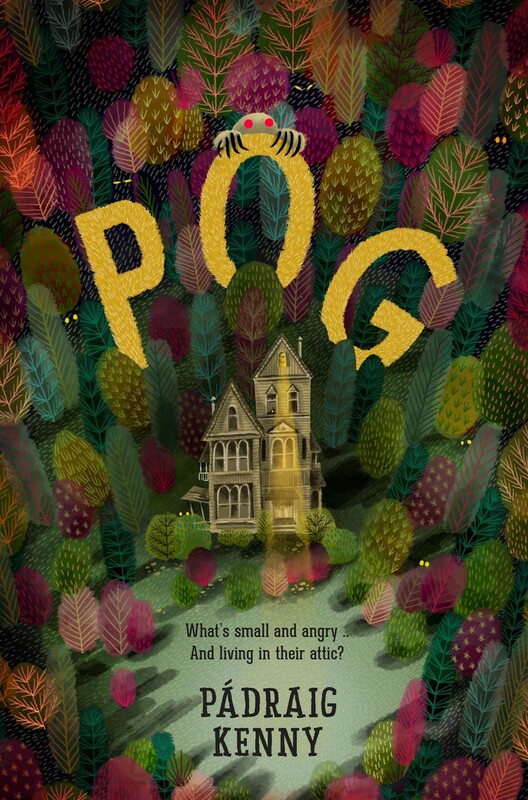 Pog is a dark fantasy adventure with fairy-tale qualities, set in the present day, which we reckon will confirm Pádraig as a rising star in middle-grade fiction (not that we’re biased or anything). For us, it’s Pan’s Labyrinth meets A Monster Calls, with a dash of E.T. An old house in the forest’s heart. A family broken by loss. A grief so dark it brings monsters. And a promise by one small creature. This is a book about a brother and sister wrestling with their grief, and finding the love and courage to let go. It’s a book about monsters who have a dangerous hunger for human emotions and memories, and the cracks in our world that let them in. And it has a totally unforgettable character at its heart: Pog. He’s small, furry and sworn to protect, and we guarantee you’re going to love him. Wow! Can't wait to read this new book by Padraig! was blown away by 'Tin' - recommending it to all!